There was a glimmer of hope on Monday for Jason Rezaian, the Washington Post journalist who has been imprisoned in Iran for the past year. Marty Baron, The Post's executive editor, said in a statement that "there are indications from Tehran that the closed-door trial... might finally be nearing its end." He cited information from Rezaian's defense lawyer who told journalists in Tehran that the next hearing in the secret trial against Rezaian will "almost certainly" be the last one before a verdict is reached. Three hearings have been held in recent months without any resolution. The date for the next hearing is not publicly known. But Rezaian's family, friends and colleagues are guardedly optimistic that the nuclear accord announced last week between Iran and five world powers will help ease the way toward his release. 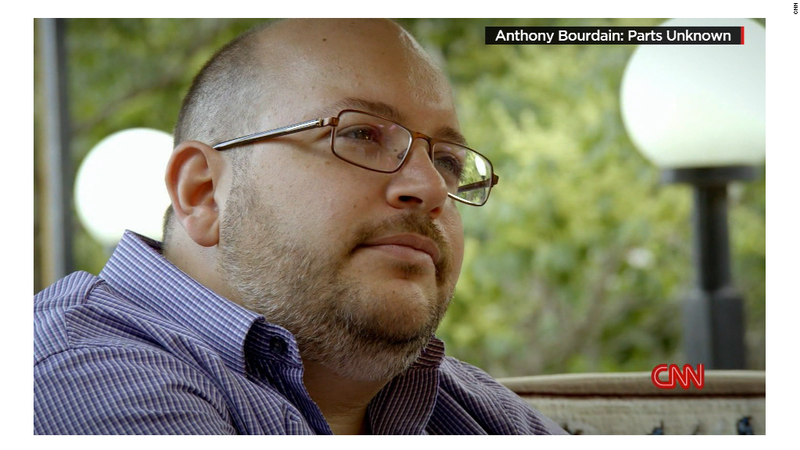 Rezaian, The Post's correspondent in Tehran, was taken into custody on July 22, 2014. The Post has categorically denied the unproven charges against him, which include espionage. On Sunday's "Reliable Sources" on CNN, Baron reiterated that Rezaian "did nothing wrong" and must "be allowed to reunite with his family." Reacting to the president's comments, Baron said, "We certainly hope that is the case. We believe that is the case. And we want them to work even harder." In a new statement on Monday, Baron said, "It is long past time for the Iranian authorities to bring this process to an end. The proceeding began on May 25, ten months after Jason was detained, and to date it has included only three sessions, whose details remain secret. There can be no reason for further delay. The charges that Jason faces, including espionage, are grave; they also could not be more ludicrous." Also on Monday, the Committee to Protect Journalists renewed its call for Rezaian's release by writing an open letter to Iran's leaders. "Never before has an international journalist been held for so long in the Islamic Republic of Iran. Our colleague has been denied any real opportunity to defend himself against the charges," said the letter, which was signed by the group's board members, including foreign correspondents like CNN's Christiane Amanpour and Susan Chira of The New York Times. "We urge you to ensure that this case is resolved immediately and that Jason returns home to his family," the letter added.